Le Nord, la Belgique, il put y séjourner parfois, dans la seconde moitié des années trente, quand, en compagnie de Stéphane Grappelli, il était devenu le principal soliste du fabuleux Quintette du Hot Club de France, fondé en 1934. Néanmoins, il n'eut pas à l'époque l'occasion d'y enregistrer. L'occasion, elle ne vint, paradoxalement, que quelques années plus tard, en 1942, durant les jours douloureux de l'Occupation allemande. Lors de la déclaration de guerre, début septembre 1939, le quintette à corde se produisait en Angleterre. A l'annonce de l'ouverture des hostilités, Django, les deux autres guitaristes, le bassiste, reprirent le chemin du pays. Seul Grappelli préféra rester là-bas. Pour le remplacer, Django imagina un "nouveau" quintette où la clarinette remplacerait le violon : un violoniste de la classe de Stéphane était à peu près impossible à trouver, tandis qu'un clarinettiste... On lui présenta le jeune Hubert Rostaing, qui préférait le saxophone mais pratiquait l'instrument, était originaire de Lyon et avait passé son enfance en Algérie. La rencontre eut lieu à la fin de la "drôle de guerre", mais l'association ne se concrétisa qu'au retour de la débâcle. Dès lors, le nouveau Quintette devint une grande vedette populaire, alors que l'ancien n'avait fait la joie que de quelques "happy few"... Mais sa carrière internationale se trouvait interrompue pour un bon bout de temps ! Cette Amérique où Django ira donc enfin se faire entendre en chair et en os en 1946 et 1947. Ensuite, il préfèrera assez souvent l'Italie -ce qui ne l'empêchera tout-de-même pas de revenir de temps en temps à Bruxelles. Mais les jours lui sont comptés, puisqu'il s'éteindra brûtalement le 15 mai 1953, à l'âge de quarante-trois ans. Quinze ans plus tard, le conseil municipal de sa ville natale, Liberchies, avança l'idée d'ériger une stèle ou de batir un monument commémoratif. Mais le projet fut abandonné car, précise Charles Petit-Jean, Premier Echevin, "les fonds ont manqué"... D.N. It was in Belgium that Django Reinhardt was born: in a little town called Liberchies, near Charleroi, on 23 January 1910. And for the registry-office official issuing the birth certificate the family name was spelled “Reinhart” (without the “d”), whereas for the members of the family who signed the document it was spelled “Reinhard” ( without the “t”). But, then, spelling never was the strong point of gypsies! Later, when the then young banjo-player was making his first studio visits as sideman in some of the top accordion bands of the day (1928), record-company executives, unable to understand his name or get him to write it, reproduced it as best they could: sometimes as far adrift as “Iango Renard” or “Jean Got”. Even as late as 1934-35, it was not rare to see his first name written “Jungo”. Moreover, Django himself, in addition to not being able to write, seems to have suffered from a slight speech impediment: on Festival Swing 1941, introducing himself with something of a lisp, he seems to say “Dzungo Renard”. So the precise name could to be anybody’s guess! 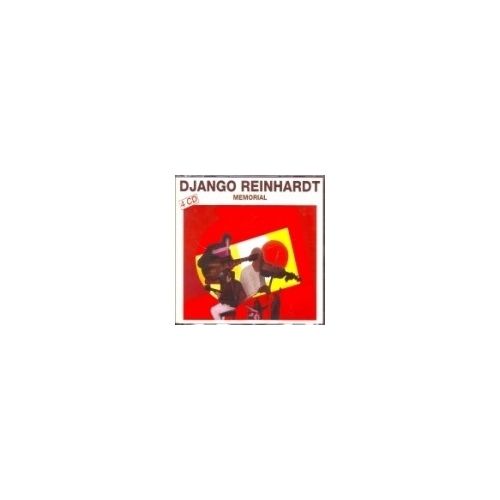 In any case, that family name of “Reinhar(d)(t)” came from Django’s mother, Laurence (alias “Negros”), a dancer and acrobat of such ferociously independent disposition that she always refused to marry. She was already the mother of one child when Django was born. Django’s father (who two years later fathered another son, Joseph, alias “Ninin”, yet one more guitarist in the making) was a musician and violin-maker by the name of Jean Vées. Now it is by no means improbable that this same Jean (or one of his close relatives) also fathered elsewhere, since a third member of this same generation of gypsy guitarists, present here, bore the name of Eugène Vées (alias “Ninine”). The fact that Django and Joseph Reinhardt were born in Belgium was by no means the result of mere chance. The Tzigane gypsies may be nomads, but each group has its preferred territory. Hence, the Gitan branch is to be found mainly in the South of France, Spain, Portugal and Italy; whereas the Manouche branch to which Django belonged congregates mainly in the northern areas of France, Belgium, Holland or Germany. This is not, of course, a hard and fast rule: when, for example, the first world war broke out, the whole band made for Nice, then moved on to Italy, from there to Corsica, and finally into North Africa. At the end of hostilities, the northern families headed back “home”, and the Reinhardt clan parked its caravan in one of Paris’s gypsy areas at the Porte de Choisy. Which is where Django lived for the next 15 years or so: roaming the streets of Paris, carefully avoiding learning to read and write, playing banjo in the accordion bands of the popular “bals musette”, and perhaps even dreaming of visiting those mysterious northern territories where he was born, but which he had never actually seen. He was finally able to visit Belgium in the second half of the 1930s, by which time, alongside Stéphane Grappelli, he had become star soloist of the fabulous Quintet of the Hot Club of France, founded in 1934. But he would not have the chance to record on his native territory until 1942, ironically at a time this entire region of northern Europe was firmly under the Nazi boot. When the second world war had broken out in September 1939, the famous HCF string-quintet was appearing in London. On hearing the news, Django, the two rhythm-guitarists and the bassist headed hotfoot for home, with only Grappelli preferring to stay on in London. Once back in Paris, Django had started to dream up a new quintet in which the inimitable Grappelli violin would be replaced by a clarinet, an easier chair to fill. He was introduced to Hubert Rostaing, a native of Lyon brought up in Algeria, first and foremost a saxophonist but more than capable of doubling on clarinet. This first meeting took place during the early days of war, but the two of them did not actually get round to working together until after the fall of France. 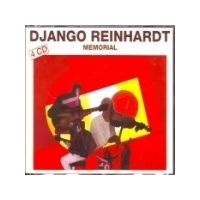 At which time this new quintet of Django’s soon found itself an immensely popular attraction, whereas its eminent predecessor had enjoyed success among little more than specialist audiences. Despite the spread of the war into the Soviet Union in the spring of 1941, plus the involvement of the USA later that same year, life in occupied Europe was beginning to resume a certain, albeit resigned, normality. Consequently, by the spring of 1942, French artists such as Charles Trénet and his pianist Léo Chauliac, as well as Django’s quintet, were able to land engagements in nearby Belgium. By the summer, it was the turn of Alix Combelle and his “Jazz de Paris”, followed in 1943 by that king of swing accordion, Gus Viseur, and a young pianist by the name of Eddie Barclay. France then responded by welcoming the Brussels-based big band led by saxophonist Fud Candrix, a Paris regular in prewar days. Which gave Django the opportunity to return a compliment of the year before by inviting them to record a few sides with him. Indeed, in April 1942, Fud Candrix and his outfit had been pressed into service in Brussels to accompany Django, since the large Belgian record company in charge of operations had decided to feature Hubert Rostaing, also backed by some of Candrix’s men, as a separate attraction. In both line-ups, the rump of the quintet rhythm-section (Vées, Soudieux and Jourdan) replaced their Candrix counterparts. It was Django who opened fire, first cutting four curious sides accompanied only by band pianist Ivon De Bie. Three of these (Vous et Moi, Distraction and the well-known Studio 24) stemmed from the pens of Belgian musicians, whereas the fourth, Blues en Mineur (extremely close, in truth, to the 1937 Minor Swing), was a Django original. Doubtless of greatest significance, however, is that on this blues number, and on Vous et Moi, Django also plays violin, something he apparently often liked to do prior to the accident in 1928 that deprived him of the use of two of the fingers of his left hand. Certainly, these are the only recordings we have of him on this instrument. His tone and attack on violin reveal an artist even more ardently gypsy than on guitar, which makes us regret that re-recording techniques had not yet arrived in Europe! The four pieces that follow were recorded in the company of Candrix’s full big band. Place de Brouckère, a new piece by Django named in honour of a renowned Brussels site today a mass of concrete, was an obvious candidate for attention. Mixture came from the pen of Candrix, whereas the two remaining pieces, Seul ce Soir and the delicate Bei Dir war es immer so schön were two current hits from the then much-in-fashion Germano-French repertoire! At which point in the proceedings, Rostaing took over from Django and, backed by a contingent from the same orchestra, recorded a number of sides of his own. Five of those are included here, making their first reappearance, it would seem, since their initial release on 78s. Voix du Monde is a co-composition by Candrix and his alto-sax man Bobby Naret, while Paulette, Adieu and Croisades are all Rostaing originals. Taking advantage of his position as leader, Rostaing here occasionally switches to tenor-sax, something Django, keen to reproduce the light, airy sound of the original string quintet, had expressly forbidden him to do within the Hot Club of France format. There are a few more Rostaing sides from these April and May 1942 Brussels sessions, but the dreadful condition of the rare originals has prevented us from including them. Indeed, even when we can get our hands on new copies — a regrettably infrequent occurrence — the wartime shellac is of such poor quality that surface noise remains at a very high level. We have here done everything possible to reduce such extraneous noise to a minimum without sacrificing the warmth and presence of the original sound. Django Reinhardt always harboured an avowed weakness for big bands. Even in the 1930s he grabbed every available opportunity to play in large outfits, and subsequently never lost a chance to assemble one of his own. After the war, he was delighted to be engaged by Duke Ellington, just as he must have been back on 8 May1942 when, once again in Brussels, he found himself in the company of a symphony-style jazz outfit. Led by a pioneer of Belgian jazz, Stan Benders, this was no doubt the country’s most famous big band of the Occupation years. The presence of a sizeable string-section, far from making the orchestra syrupy, imparts a strange, ethereal atmosphere to the first three titles recorded that day: Djangology, an old hit of Django’s; Begin The Beguine, a popular American piece discreetly translated into French for the occasion; and Nuages, a Django masterpiece already recorded twice in the autumn of 1940, the year it was composed. This particular version of Nuages is arguably the best of the lot. So attractive do these three performances turn out to be, it seems almost a pity to lose the strings for the ensuing five titles, although true they would have been less at home on what is material of more traditional hue. Indeed, Django Rag is a barely disguised version of the rip-roaring Tiger Rag, while Chez Moi à six Heures is very much in the swinging Count Basie manner. At this same session, Hubert Rostaing was once again summoned into action to record a few sides of his own, among them Hésitation and Mohican, the latter a conveniently oblique reference to America. The selfsame America that would at last have the opportunity of hearing his partner, Django, in the flesh in 1946 and 1947, although the guitarist would subsequently prefer to limit his travels to heading south for Italy, or even northwards back to Brussels.